Hello dearies! I know you're still on Christmas high after the parties, reunions and gathering that you've been. It's been a month of late nights for me as I'm finishing backlogs and running errands while experiencing holiday rush including shopping in between. I'm stressed lately and it shows how my skin looks like these past few days. Imagine being able to erase dark parts of the face and body permanently. 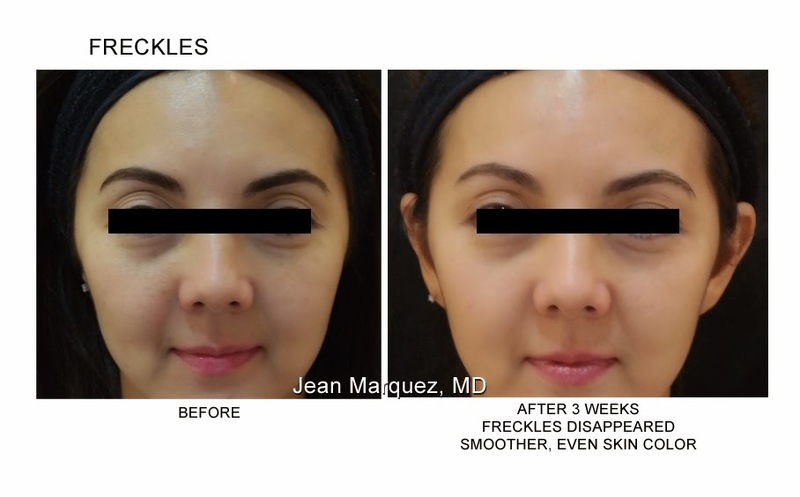 Imagine having the opportunity to remove even the most complex blemishes or pigmentation on the skin quickly and painlessly. For years, many people have longed to have their specific skin blemishes eliminated. Most however, can only leave that desire to their imagination. And yes, this statement is so true with my skin condition. I have freckles that's so stubborn and cannot be 'erased' by products that I've used may it be cheap, cost-effective or high-end ones. The size of my freckles got bigger over the years and I've acquired it after giving birth. I always mused to my relatives and closed friends that it's a hopeless case but.. Imagine no more with the newest pigment lightening treatment - The Eraser Laser. The Eraser Laser is the latest Q-switch Nd:Yag pigment lightening laser to enter the country. Q-switch Nd:YAG laser devices are well established in aesthetic medicine as state-of-the-art skin rejuvenation tools. However, not all devices are equal in terms of controlling the immense power that this laser has, and failure to do so can lead to an increased frequency of adverse events. 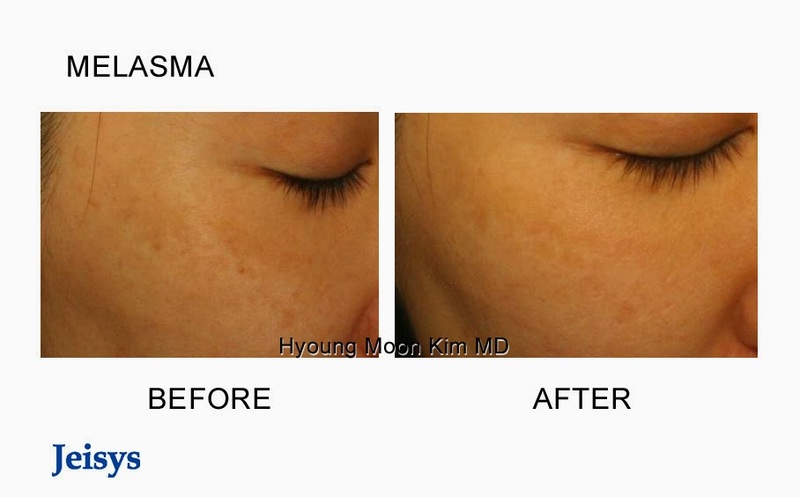 Designed for Asian skin, the Eraser Laser uses the next generation technology, Rich PTP (Photo-acoustic Toning Pulse) which is able to harness, control and maintain the powerful Nd:YAG, resulting in safer and more effective treatment of pigmented lesions such as melasma, scars and freckles as well as dark areas of the body like underarms, groin area, under the eyes, lips, feet, birthmarks and tattoos. This technology selectively targets and shatters pigmented lesions. So what makes the Eraser Laser different from other pigment lightening machines? It boasts of new and upgraded technologies that make it safer and more effective, especially for Asian skin. Its three unique features make it unparalleled in the industry today. Second, the Eraser Laser’s Top Hat technology delivers energy evenly along the surface of the skin, making the procedure safer and virtually painless for melasma and Post Inflammatory Hyperpigmentation. 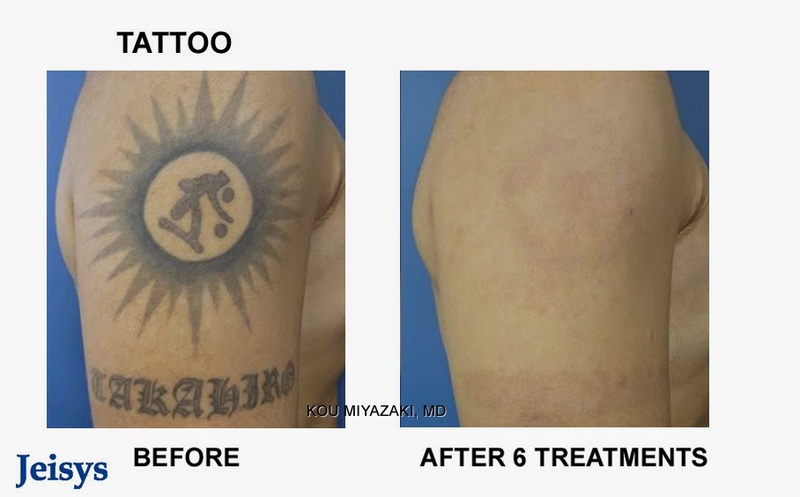 Slight discomfort may be experienced, however, when birthmarks or tattoos are being treated. 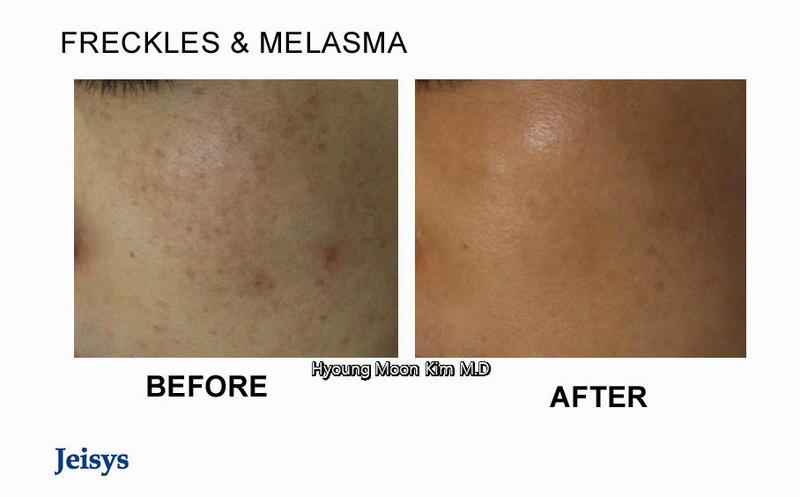 This technology also prevents rebound pigmentation common in Asian skin. Finally, its equal beam size and energy maintains the stability of energy output regardless of the distance of the handpiece from the skin surface. Some lasers deliver varying output due to its inability to control or maintain the burst of energy. One shot could unexpectedly be much stronger, resulting in damaged skin. The Eraser Laser’s laser energy is constant, producing consistent and accurate results. 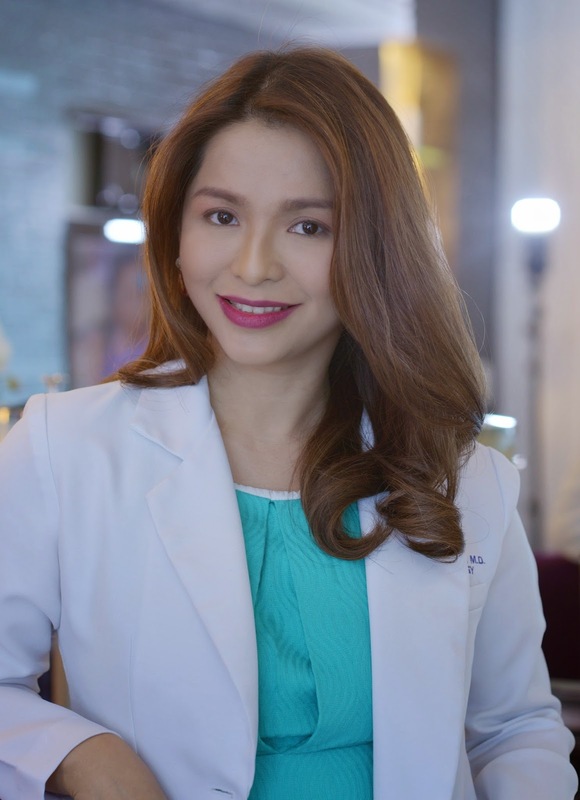 The Skin Specialist is the first in the Philippines to use the Eraser Laser. Within a short period of time, the demand for its treatment has increased rapidly. “Our goal has always been to provide highly effective and safe treatments. Like most of my machines, the Eraser Laser has met that criteria,” says Dr. Jean. 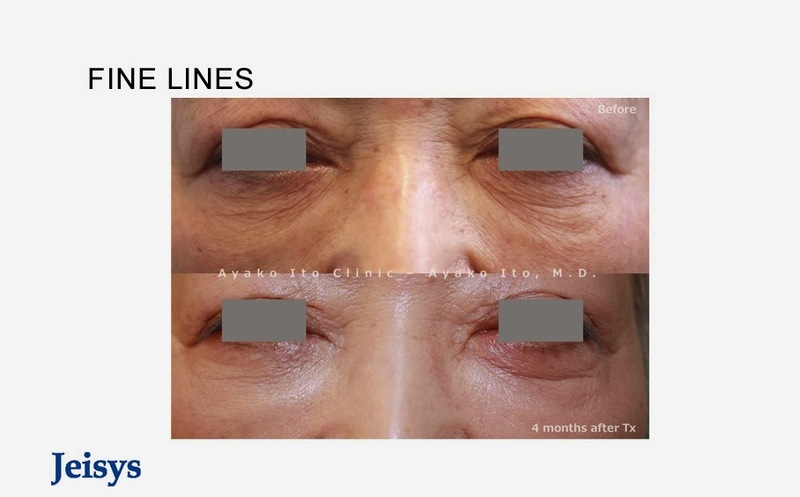 “Only one session and my skin was renewed. Even my shave burns disappeared,” says one TV host. 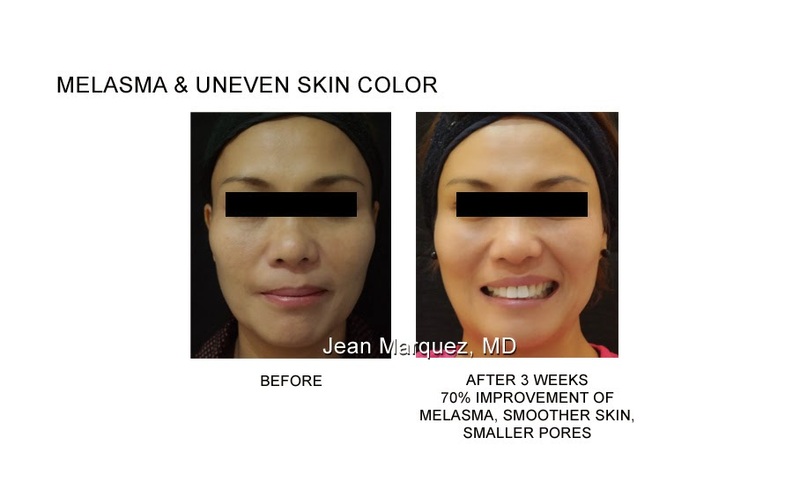 “I am amazed with the instant result of Dr. Jean’s treatment for pigmentation. My sun spots were lightened and it also improved my skin texture,” says another public figure. “It really does work like an eraser! It’s great! And the best part is that it’s painless and the procedure doesn’t take long,” attests a prominent broadcast journalist. Experience the magic of the Eraser Laser only at The Skin Specialist, Ground Floor ESNA Bldg., #30 Timog Ave., Quezon City. For appointments or inquiries, call 374-8087 or 374-1076. 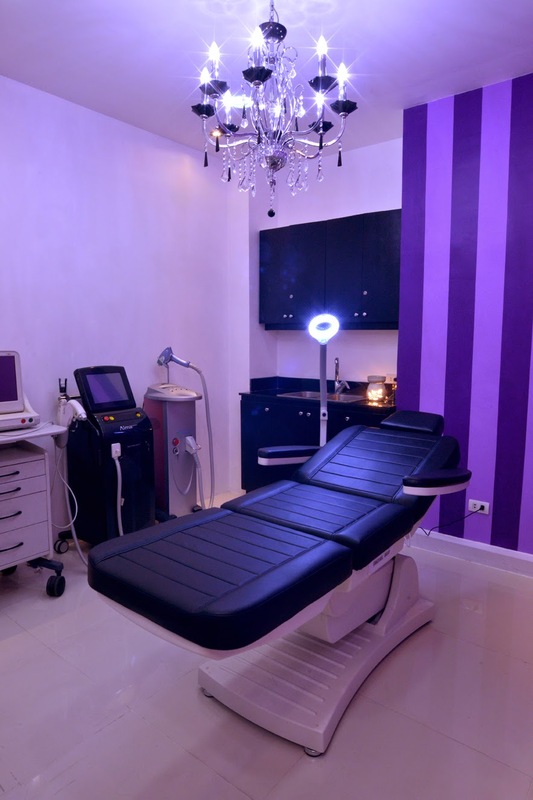 Feature: The Skin Specialist's Erase Laser The Skin Specialist, Ground Floor ESNA Bldg., #30 Timog Ave., Quezon City. For appointments or inquiries, call 374-8087 or 374-1076. So start the year right and have a blemish-free skin. I'm inviting you to visit Dra. Jean and The Skin Specialist team for consultation. Try Erase Laser and experience glowing, youthful skin that you've dreamed of! I'll be sharing on my next post my Erase Laser experience after my first session this coming January. Thank you for sharing this aticle. It really works.